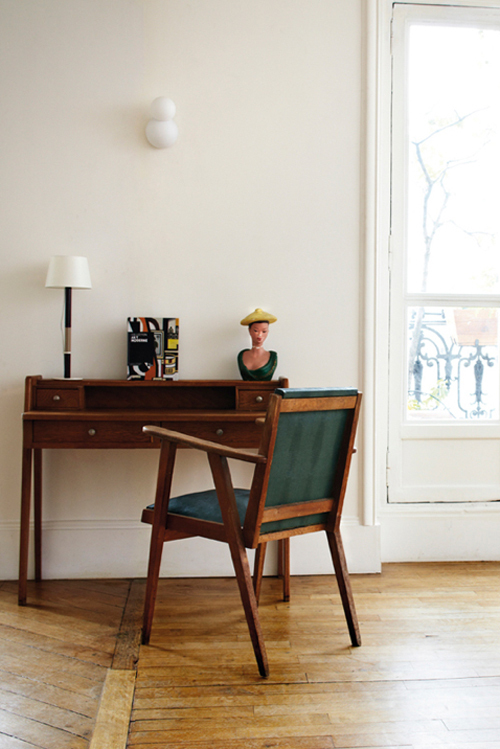 This is the home of Caroline Delaudes, a lawyer living and working in Paris, France. As she wants her home to be a quiet oasis when she comes back from a hectic day, it is decorated in muted colors and natural materials such a wood. 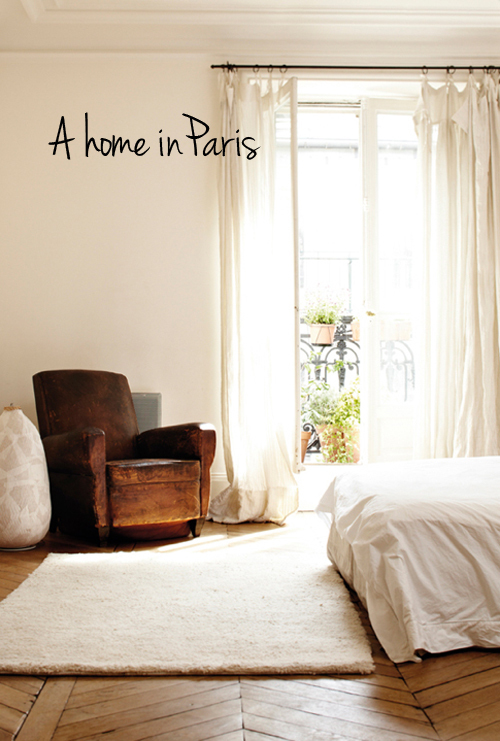 Caroline took over the apartment, which is located in the 3rd arrondissement, from her grandmother in 2004. She renovated the entire house preserving the original style but added modern touches. I love the beautiful light coming through the large, glass doors. 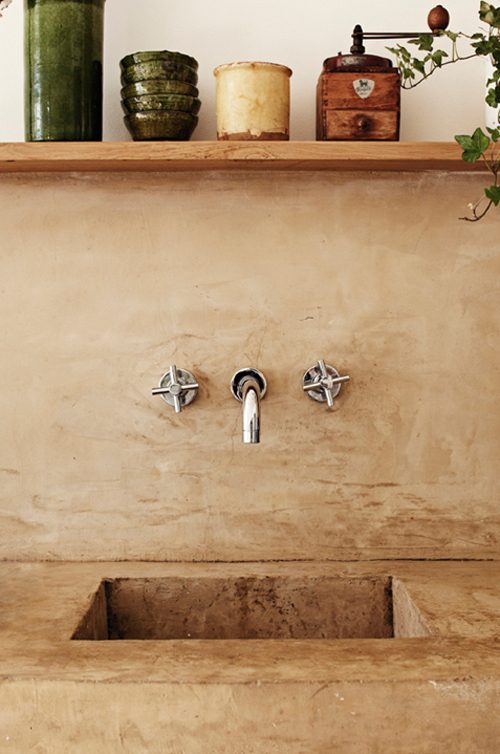 That sink is amazing!!!! Whoa. I’ve never seen anything like that! Even with the pictures, I could still feel the preservation of its designs and interiors . It looks like they just restored the things inside and maintain the classic style of it which is I also think is good and the ambiance of Old Europe. 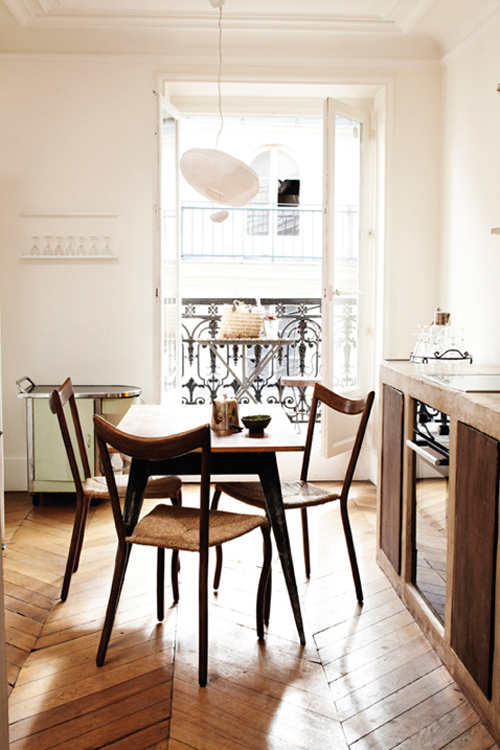 What I wouldn’t give…this is the perfect Paris apt! I like this, beatifull and romantic! What a lovely apartment. 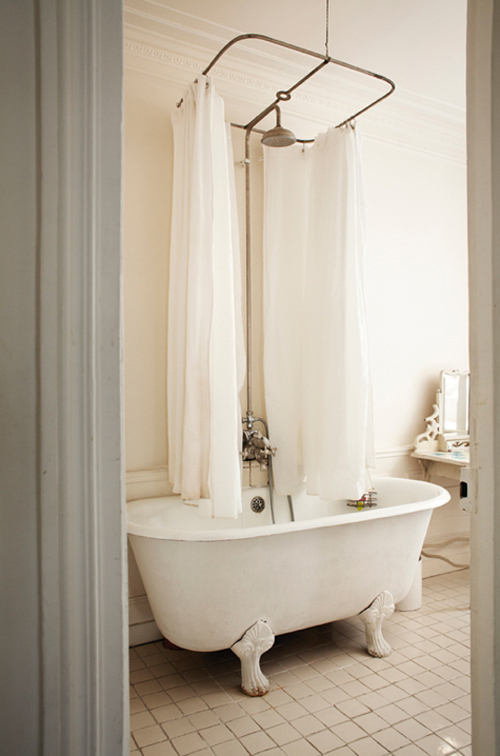 And the bathtub with the shower. How French. Miss Paris!